Mr. Lim Hng Kiang, Singapore&apos;s Minister for Trade and Industry (Trade), launched the Energy & Chemicals Industry Transformation Map (ITM) on October 22, at the 10th edition of the Singapore Chemical Industry Experience (CHEMEX), an event organised by the Singapore Chemical Industry Council (SCIC). The ITM was developed by a multi-agency team together with industry partners, unions and trade associations, to map out strategies for steering Singapore’s future development as a globally competitive and leading Energy & Chemicals hub. Through the ITM efforts, the industry is expected to achieve a manufacturing value added of S$12.7 billion and introduce 1,400 new jobs by 2025. Singapore is the world’s top fifth largest refinery export hub and amongst the top ten global chemical hubs by chemicals export volume. In 2015, Energy & Chemicals accounted for close to S$78 billion in total output, employing over 28,400 workers. The Energy & Chemicals ITM identifies opportunities arising from megatrends such as the rise of Asia, as well as emerging business and manufacturing developments due to technological disruptions. It takes into consideration challenges that the industry will face in terms of resources such as land, carbon and labour, as well as competition from the region and globally. To prepare Singapore to capitalise on these global trends and opportunities, the ITM has identified a two-pronged strategy – firstly, to transform its existing base of chemicals manufacturing through the adoption of innovative technologies and secondly, to diversify into new growth markets and develop new innovation capabilities to capture growth opportunities. The ITM will also have a strong emphasis on growing a pipeline of local talent, and fostering strong collaborations with industry associations to better support the industry. Singapore will transform its existing base of chemicals manufacturing through the adoption of innovative Advanced Manufacturing technologies. The emergence of such disruptive technology presents opportunities to improve productivity and safety, rejuvenate asset and overcome resource constraints. To catalyse the adoption of Advanced Manufacturing technologies, Singapore has developed an ecosystem of support comprising enablers such as technology and solution providers, educational and research institutes as well as a fast-growing start-up sector. The government will place emphasis on driving adoption and will also foster collaboration between multinational corporations (MNCs), small medium enterprises (SMEs), as well as research institutions and institutes of higher learning to develop new solutions. For example, Chevron Oronite has partnered Emerson to install a pervasive sensing unit that will help increase worker safety and bolster productivity, which is estimated to save 30,000 man-hours. Shell is collaborating with local SME Avetics to deploy drones for plant maintenance and inspection, which offers a safer way to inspect tall structures at its site, and manpower savings of 25%. The ITM targets for at least 20 plants, including all refineries and crackers, to adopt Advanced Manufacturing technologies by 2020. This will provide a strong foundation for the effort to be scaled to the rest of the industry. Following which, Singapore will also be focusing on systems level digitalisation efforts across companies to improve logistics and utilities management. The ITM expects megatrends such as the growing middle class, rapid urbanisation, climate change and water and food security to require sophisticated yet cost-efficient chemicals tailored to Asia’s needs. 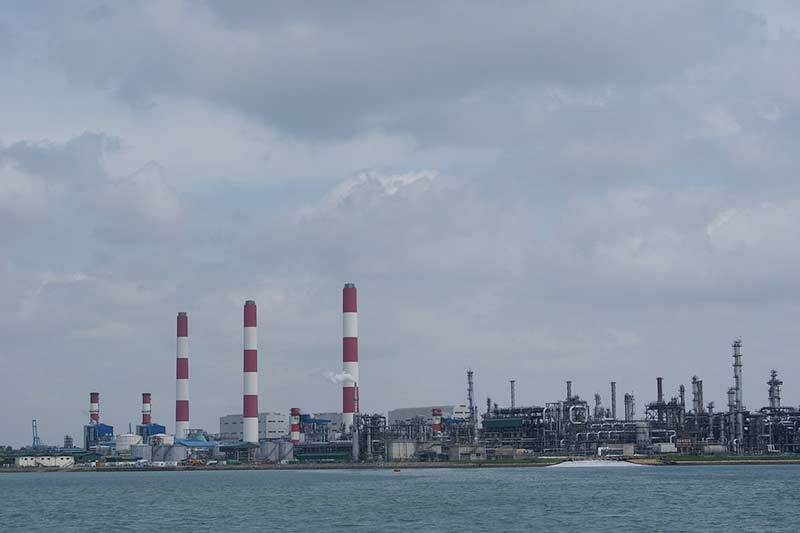 To capture these growth opportunities, Singapore will diversify and upgrade its olefin derivative portfolio towards high value added petrochemical products, and specialty chemicals. Focus end-markets include lubricant additives, oilfield and water chemicals, consumer care, agricultural chemicals and animal health and nutrition, as well as functional chemicals such as surfactants and function polymers. Industrial biotechnology and synthetic biology are also technology focus areas that will be explored. To further support the growth of Singapore’s specialty chemicals segment, Singapore will strengthen its innovation ecosystem by building the necessary capabilities such as applied research or novel platform technologies to help companies accelerate and shorten innovation cycles. The government will work with leading players to develop domain knowledge in their labs in Singapore as well as support companies who adopt “open innovation” as a means to co-innovate and co-develop system solutions with their partners. For instance, the Economic Development Board (EDB) and the Agency for Science, Technology and Research (A*STAR) have embarked on a joint technology road mapping exercise to identify scientific and technological needs and gaps of companies, and then invest in developing them so as to support and foster companies’ innovation. The ITM targets 20 new or expanded application development centres by 2025, with an increase of S$55 million in business expenditure on research and development. The transformation and growth of the Energy & Chemicals industry is expected to bring about 1,400 new jobs by 2025. To equip Singaporeans with the necessary skills to take on these jobs, SkillsFuture Singapore (SSG), EDB and Workforce Singapore (WSG), together with industry stakeholders such as employers, industry associations, unions, and education and training institutions, have developed the Skills Framework for Energy & Chemicals. It covers six career tracks, involving 53 job roles in the sector. The six tracks are Production and Process Engineering; Health, Safety and Environment (HSE); Engineering and Maintenance; Quality Assurance and Quality Control (QA&QC); Technical Service, Application and Product Development; and Research and Development (R&D). The framework provides key information about the industry, and identifies 95 technical skills and competencies required across the different job roles, with the relevant training programmes to acquire them. To attract fresh polytechnic and ITE graduates into the Energy & Chemicals industry, SSG also launched four SkillsFuture Earn and Learn Programmes (ELP) for job roles such as process technicians and laboratory analysts. The ELP is a work-learn programme that gives fresh Polytechnic and ITE graduates opportunities to progress in their careers by deepening their skills and knowledge. To date, more than 40 ELPs have been launched in over 20 sectors. Through the ELPs in the Energy and Chemicals industry, over 65 Polytechnic and ITE graduates were placed in more than 20 Energy & Chemicals companies and another two ELPs catering for ITE graduates will be rolled out for the sector in 2018. Under WSG’s Adapt and Grow initiative, there are several Professional Conversion Programmes (PCPs) to help mid-career PMETs transit into different job roles and new careers within the Energy & Chemicals industry. These programmes include the PCPs for Chemicals Manufacturing, Associate Researcher (Consumer Chemicals), Manufacturing Associate, Manufacturing Professional and Technical Sales Engineer/Manager. The Government will foster closer collaborations with Trade Associations and Chambers (TACs) to further the development of the industry. For instance, SCIC and EDB co-chairs the Chemical Industry Manpower Advisory Committee (CHIMAC) which looks into present and future manpower issues related to the industry such has labour supply, training and hiring practices. Government agencies together with Association of Process Industries (ASPRI) and SCIC have also formed the Process Construction and Maintenance (PCM) Management Committee to look into improving the overall productivity of the PCM sector, a key supporting sector of the Energy & Chemicals industry.